Given that the 3DS doesn’t just have a 3d screen, but also twin camera’s next to eachother….surely that correct means occulision should be possible? Not seeing it in any of the demo videos, but hopefully some other developer might make a AR game with proper masking in this way. I didn’t know that. I wonder how strong is its cpu, can it do real time natural markers tracking? 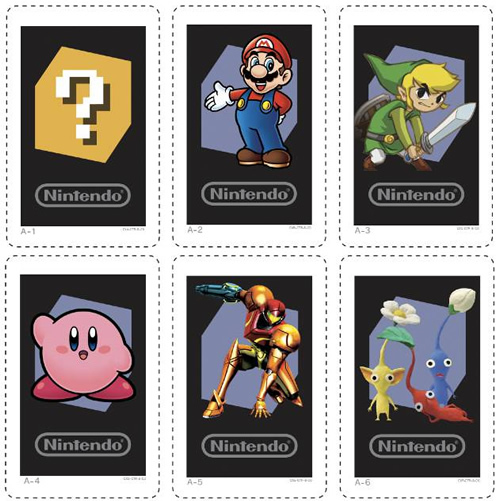 http://www.cubed3.com/media/2011/February/nintendoaugcd.jpg (it can at the very least ID those as seperate enities with multiple in the view at once). Beyond that its hard to tell. The CPU from what I gather isn’t especialy strong, seems most of the effort was put into the GPU and its shader abilitys. On the other hand, apperently the first wave of 3DS adverts in Japan are focusing on the AR abilitys of the system, so clearly Nintendo thinks its a saleing point. Maybe will we see more advanced stuff further down the line.